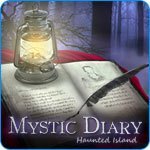 Mystic Diary: Haunted Island Game - Download and Play Free Version! Discover the Secrets of a Ghostly Crew and A Crazy Captain! A few years ago Victor and his brother Gustav, the magician, uncovered a magical artifact called the Mystic Diary. One day the tome mysteriously vanished without a trace. Without a clue as to where it went, the brothers decide to return to the island where the diary was first unearthed, but the voyage went horribly wrong. Gustav went insane. He somehow managed to lock Victor and the entire ship's crew inside the Mystic Diary. Now only the shadows of their former selves remain in the real world, haunting the Black woods. They are still alive on the island, and desperately need your help to return home. 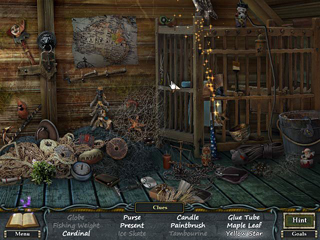 Use the diary to unlock new characters that are trapped on the island and gain new clues in this hidden object puzzle game Mystic Diary: Haunted Island. Help Victor and his crew by searching the manor and the island for hidden items. Create strange and fascinating machines. 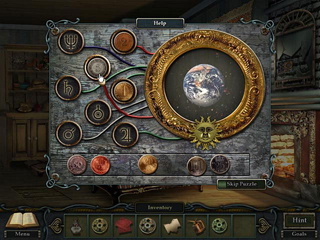 Discover hidden passages and solve perplexing puzzles. Hurry, your adventure is waiting for you!